The compact Polartec® Arcteryx Delta LT Zip whips moisture away to the next layer for active use comfort, provides warmth without weight and has a deep zip neck for rapid ventilation. Compact, yet warm, the Arcteryx Delta LT Zip is made from Polartec® Classic 100 fleece, chosen for its ability to whip moisture away to the next layer in active use, its warmth-to-weight ratio and high comfort factor. Combined with performance mid-layer features the Arcteryx Delta LT Zip is an ideal lightweight fleece top for extra warmth on the slopes and for daily wear back home. Polartec® Classic 100 Micro Grid Fleece's lofted fibre surface creates thermal air pockets that keep warmth close to your core, enabling the Arcteryx Delta LT Zip Men's Fleece to offer warmth without weight. Polartec® Classic 100 Micro Grid Fleece is very quick drying, highly breathable, pill-resistant and durable for years of demanding service. The Arcteryx Delta LT Zip has a high collar for greater protection and integration within a successful layering system, and a half front zip that when undone allows speedy ventilation and cooling. Patterned with No-Lift gusseted underarms, the Arcteryx Delta LT Zip ensures active movements can be made without the fleece riding up, while its slight drop back hem can be tucked in, sealing out drafts. 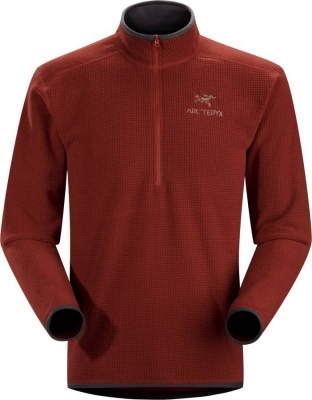 Lightweight, compact warmth for multiple activities, the Arcteryx Delta LT Zip combines the benefits of Polartec® Classic 100 Micro Grid fleece with motion-friendly design features. 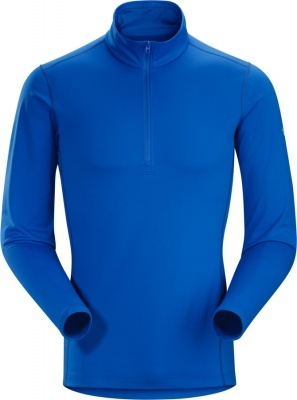 Its low-friction grid-style outer surface layers smoothly under your Ski Jacket, while the fuzzy interior offers maximal thermoregulation - an ideal Arcteryx mid-layer fleece for skiers who choose to leave the piste map behind, and those who are happy to be in the midst of enchanting scenery and abundant snow.